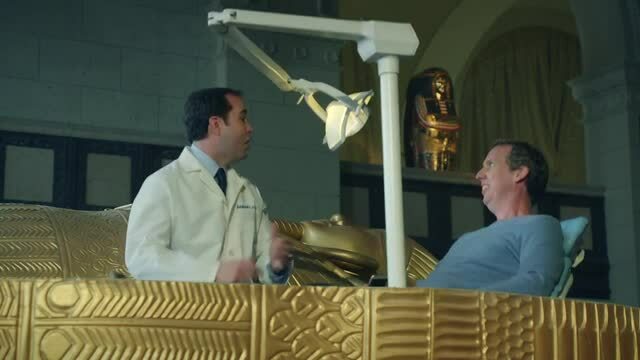 The Best Work You May Never See: Director Nick Ball, CP+B Set Up Dental Appointment In "Museum"
In this offbeat spot for Aspen Dental directed by Nick Ball via MJZ for agency CP+B, a dentist and his patient chair emerge from a tomb on exhibit in a museum. The dentist reassures a couple of museum-goers that he makes the insurance process easier. In the blink of an eye, the male museum visitor is in the dentist’s chair, grateful that things have gotten easy in terms of his dental care. “Museum” continues the humorous bent that CP+B has deployed for Aspen Dental since taking on the account in 2013.